I gasped out loud when I saw this! Holy smokes this is fabulous! Those apples are amazing Karren! I love how they spill out over the black background. Another really stunning card, Karren! 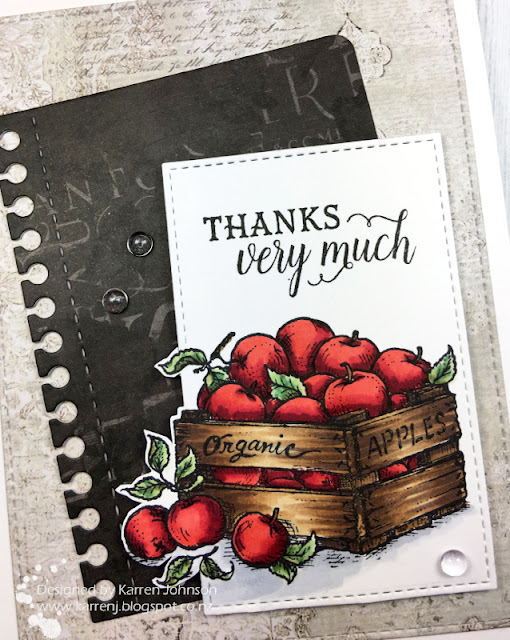 I love how you layered your patterned papers and your Copic coloring is absolutely amazing! 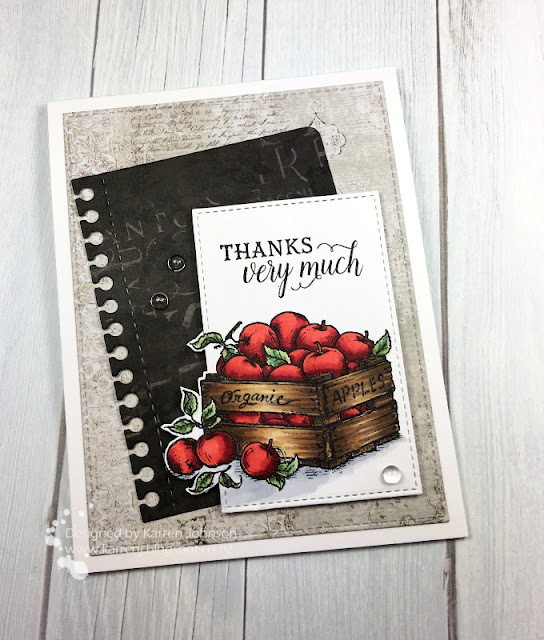 Great idea to use your Clear Droplets on this card, too...they're perfect! Well now you aren't fooling around with this card! Oh so classy and oh so amazingly colored! I love it! I was sure that in your stash of stamp sets you'd come up with the most amazing A card - and you did! Totally nailed with this fab card!